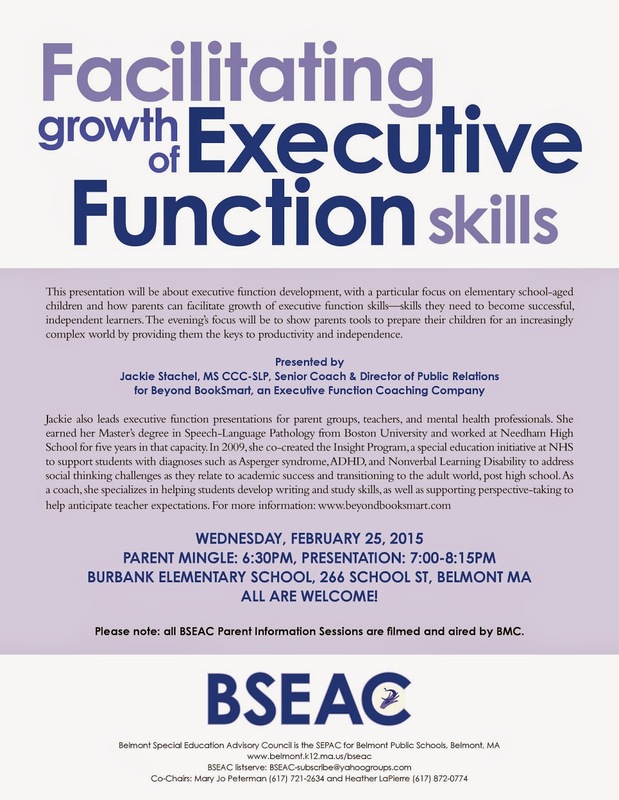 By Executive Function Coach Jackie Stachel, M.S., CCC-SLP of Beyond BookSmart. At the Burbank Elementary School Cafeteria, 266 School Street, Belmont, MA 02478. Drive down the narrow drive to the left of the school, park in the parking lot, come in the side entrance and follow the signs to the Cafeteria.